What is a Good Argumentative Essay? A good argumentative essay is an essay in which a student is able to present his or her views in an effective and convincing manner, taking the help of argument as a vehicle for delivering the final conclusion. Here what matters the most is not the conclusion, but the argument as it is the argument which forms the skeletal framework of the essay. If the argument is weak, unconvincing or superficial, the essay might not appeal to the reader and will not be a good argumentative essay. While writing an argumentative essay, you must remember that here emotion is preceded by evidence and reasoning as you need to present your argument through the latter and not by relying on evidence. While making an argumentative essay you need to explore both sides of the topic and finally, you need to prove why one of them is the best out of the two. This is the building block of your argumentative essay. You cannot ignore the importance of a good topic. The topic is one of the most crucial deciding factors that will have an impact on the outcome of the quality of the essay. You might want to take a good argumentative topic that is currently a hot issue or one that has adequate relevance in today’s times. As long as you are genuinely interested in the topic and have some good understanding of the matter, you can take the topic for the argumentative essay. 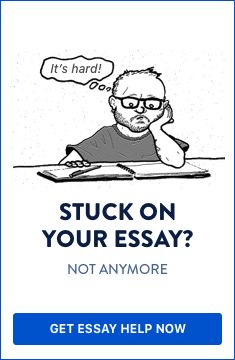 But if you are not very interested in the topic and do not have a good grasp on the subject, you may fail to produce a good argumentative essay. So, the key to writing a good argumentative essay is interest and good knowledge of the subject/topic. The key to writing a good argumentative essay is interest and good knowledge of the subject/topic. After you have selected the proper and suitable argumentative essay topic of your liking and choice, you need to research both sides of the matter which you are going to write on. The research will help you develop some valid points, and arguments both for and against the topic in question. The idea behind the research is that it will help you to get enough ideas to both provide valid arguments and counter arguments while writing your argumentative essay. After you have made a thorough research on the topic/matter, you need to make a working thesis for your argumentative essay. This thesis should reflect your stand or position on the topic/matter. You should also make a brief summary of the main reasons behind your argument for the argumentative essay topic. Once you have made the working thesis and wrote a short summary, you need to work on the body of the argumentative essay. The body paragraphs should contain both sides of the problem, topic, issue or matter that you are raising in the essay. After you have presented both sides of the topic/matter, you should also state your own personal opinion or belief on the topic/matter. While you state your own personal stand in the body paragraphs, you also need to explain the reasons for your stand on that particular matter/topic. You should cover both the opposing and contrasting sides thoroughly in your argumentative paper and should try to balance the matter with valid arguments and counter arguments. Finally, you need to come to the conclusion by making your stand clear by effectively giving solid and rational arguments in support of your claim. You need to prove and convince your reader that the final stand taken by you is the best and your arguments, reasoning and evidences will help in convincing your readers/audience. Do you need help with writing a good argumentative essay?